Found this interloper when trying to snag bites between knocking down battalions with blocks. Sneaky little sniper. I love having a little boy even if he does knock down every tower I build. 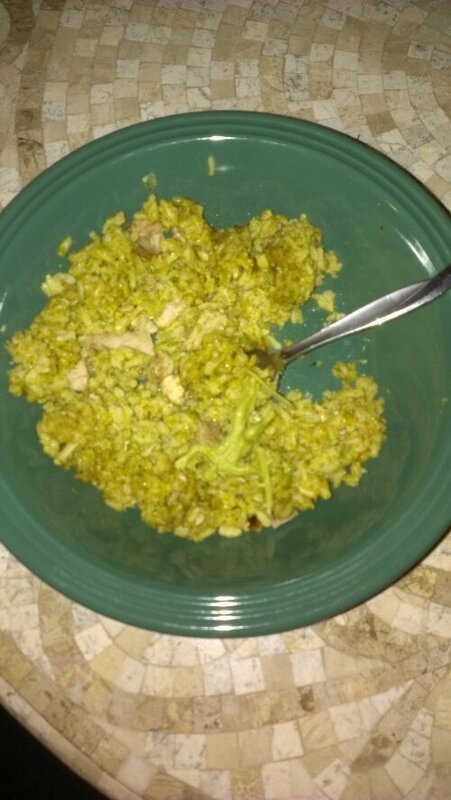 If we ever get around to the recipe page I’ll share the green rice recipe…add a little leftover chicken or pork (shown here) and you have all the food groups in the bowl. Oh and on the topic of soldiers, Happy Veterans Day to all my fellow vets!